2016-06-10. 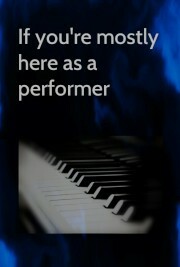 Published in category For Performers. We are currently developping a format for hangouts. We will provide artists with a safe and fun way of interacting directly with their fans in realtime, which will be a service with a slight fee for the participating fans and a small payment for the participating artists. If you are an artist and you would be interested in how you can set up such a hangout with a group of fans through us please contact us.